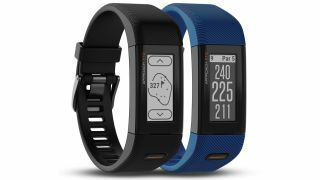 Garmin has just announced the Approach X10, a wearable designed specifically for golfers, but with a low price it could also appeal to those new to the sport. The Garmin Approach X10 has a 1-inch touchscreen display that can show you the distance to the front, middle and back of the green on over 41,000 courses around the world. It also displays doglegs, layups and hazards such as water and bunkers, plus it can measure shot distances, show the layout of the green, and track stats such as putts, fairways and greens in regulation. And it will automatically transition holes as you move between them and comes with free lifetime course updates, so more courses may be added over time. The Approach X10 is water resistant to 5 ATM, so you can play in the rain, and it supposedly has a battery life of up to 12 hours in GPS mode. Plus, it supports the Garmin Golf app, allowing you to compete on leaderboards and set up tournaments. None of this is anything new, since the Garmin Approach X40 has many of the same features, plus extras like a heart rate monitor, but that's a fair bit more expensive than the $200/£160 (roughly AU$280) Garmin Approach X10, and bands like the Garmin Approach S60 are even pricier. So while the Approach X10 has all the tools that even a reasonably experienced golfer might need, its price could make it an appealing buy for beginners too. If you like the sound of it, you should be able to grab it soon, as Garmin plans to start selling the Approach X10 before the end of January.